A patio contains enormous potential for comfort, elegance, sophistication, and relaxation—and yet homeowners often neglect their patios in favor of perfectly designed interiors and pristine landscapes. Why, then, do so many homes come with patios if so many homeowners do not use them? Simply consider the 25 following patio design ideas. With excellent patio design in Atlanta, GA, your home patio can inspire you and your guests with beautiful, unique, and inviting features you can enjoy year-round. Here are 25 ways to turn a blank or underwhelming patio into another welcoming environment. · The Tudor patio provides an excellent accompaniment to any home. Vines, rustic details, and stone patio pavers from Atlanta offer refined touches. 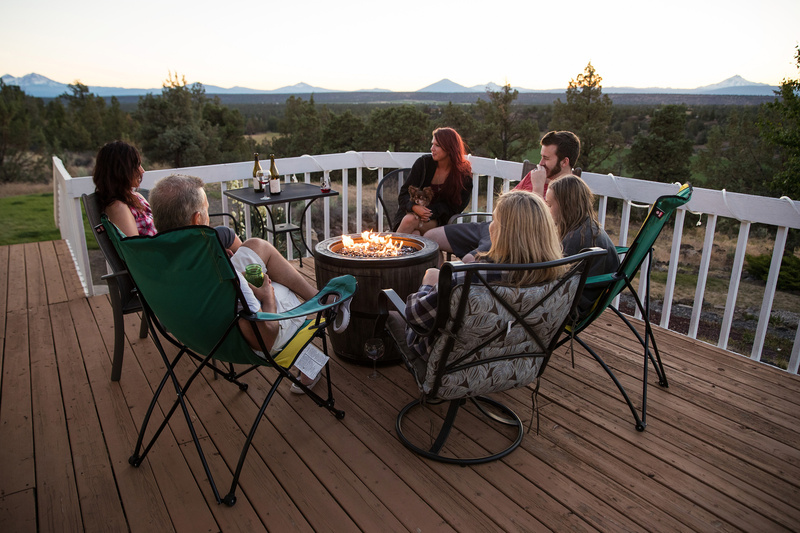 · If your patio offers excellent views, do not obstruct them. Simply lay out relaxing, minimal furniture with a few small and well-chosen decorations so you can lie back and look out on the expanse. Consider painting your patio white or stone-gray to frame the view. · An excellent brick hardscape in Atlanta goes a long way. Retaining walls full of lush flowers and small shrubbery act as an excellent patio border as well as wraparound guest seating. · Go country with raw, wooden furniture, rustic stone flooring, and gingham details. · Invite your guests to dine with you on a long outdoor dining table under a detailed pergola. Use bench seating to welcome a crowd. · Place vintage or reclaimed furniture on a rounded stone patio for an updated antique feel. · A workman's or hobbyist's patio needs to be practical. Place sturdy working tables, stools, and dressing chairs on a breezy patio. Get colorful with the flooring and awnings to provide inspiration. · Create a calming Zen patio with smooth stones, small greenery, and a water garden by Atlanta craftsmen. · Create a cottage-like patio with wood siding, wooden plank flooring, and wooden benches under hanging daffodils. · A symmetrical brick patio with a Grecian fountain, flowering vines, and simple stone seating will wow your guests. · Bring the indoors out with sturdy tile flooring, a fireplace, outdoor living furniture, and even weather-resistant art. Remember that a good TV always says "home." · A great TV and sound system are essential to a sports fan's patio. Barstools, an outdoor wooden bar, and treated wooden flooring make the scene especially fun. · Go old-fashioned with white benches, pots of flowers on a table, and brick paver flooring. · Gardening tools and flowerpots can adorn the walls of your brick patio for a crafty and comforting environment. Become Bohemian with a stone surface, exotic furniture, unique art, and colorful adornments. Install white curtains around the patio for a patio that is yoga-ready. · Create a sleeping patio with a warm rug on stone flooring, a daybed, and comforting plants like lamb's ear. 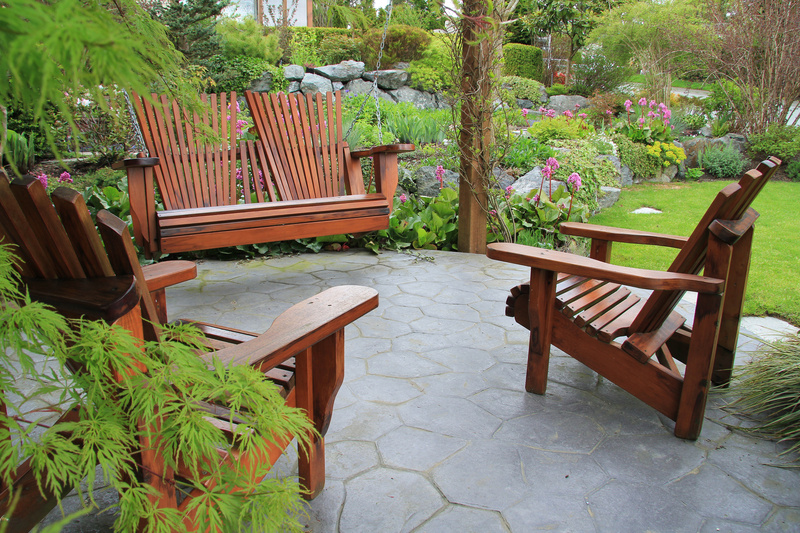 · Give your patio a coastal feel with Adirondack chairs and dwarf fountain grass on a gravel plot. · Turn a patio into a sun room with floor-to-ceiling windows and ceramic tile flooring. Install soft furniture for relaxing mornings. · Patio installation in Atlanta can be as simple as a brick foundation with 2 lawn chairs and colorful daylilies for character. · Or you can be lush and ornate with a patio that juts into a garden of annuals, oak trees, and lavender. · Wrought-iron seating in a gravel patio alongside glass tables will give a patio the look of a Manhattan brownstone courtyard. Install black lighting features to perfect the look. · Install a poolside patio with finished concrete, deck chairs, and cabana-style end tables—all in full, warm sun. · Go youthful with colorful metal folding chairs around a white table, original art, and a white limestone surface. · Even if you do not plan on using your patio, keep it clean and stylish with a wicker loveseat and sturdy, potted cacti on neutral, low-maintenance pavers. · A common and timeless patio design in Atlanta, GA, involves simple improvements: paver flooring, modern sconces, shrubbery to surround the space, and colorful seating. White railings are a perfect touch to any Georgian patio.